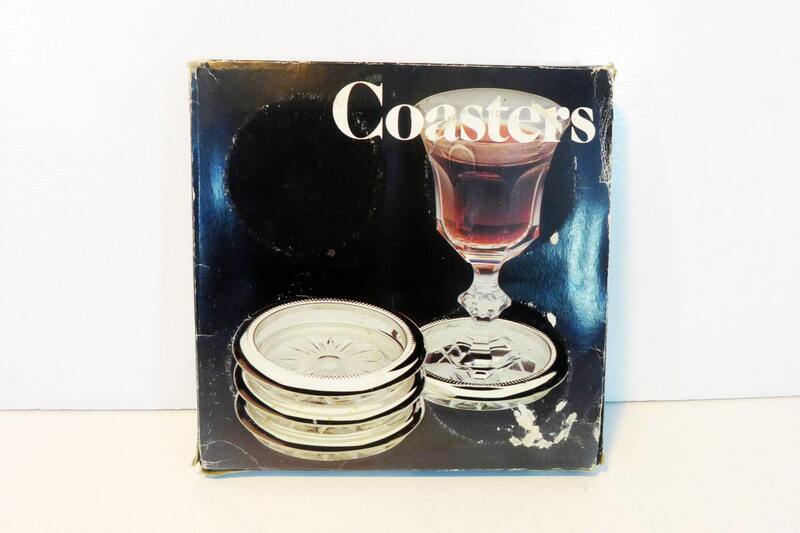 Vintage set of Leonard Silverplate coasters in the original box that appear to never have been used. 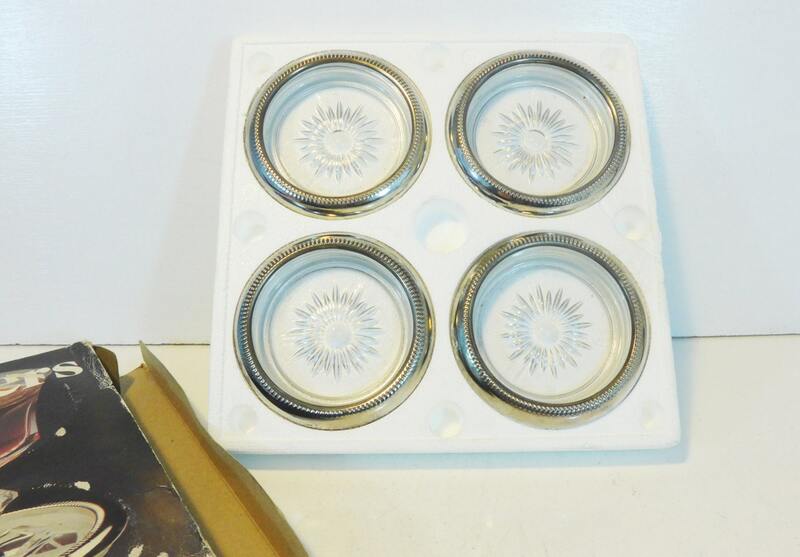 They have a heavy crystal center and a sliver plate rim. 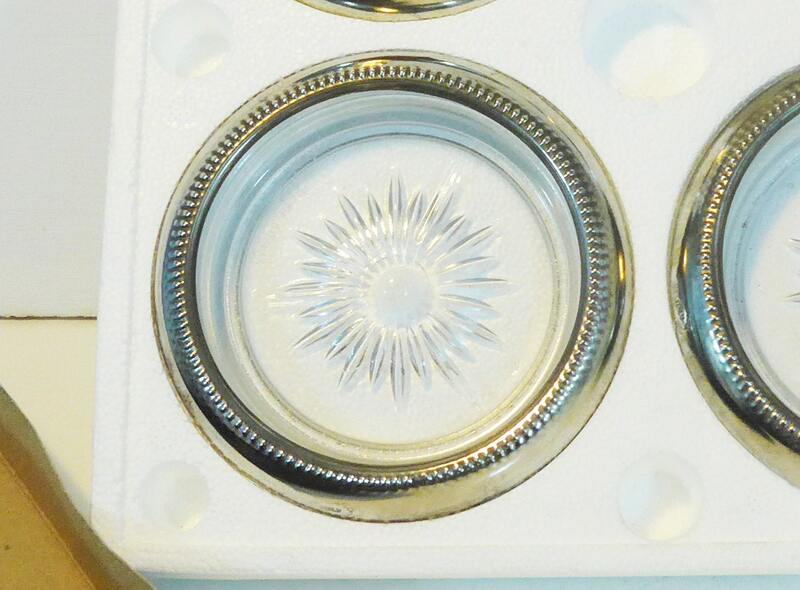 There is a decorative starburst in the bottom centers. I believe these are circa 1970s. 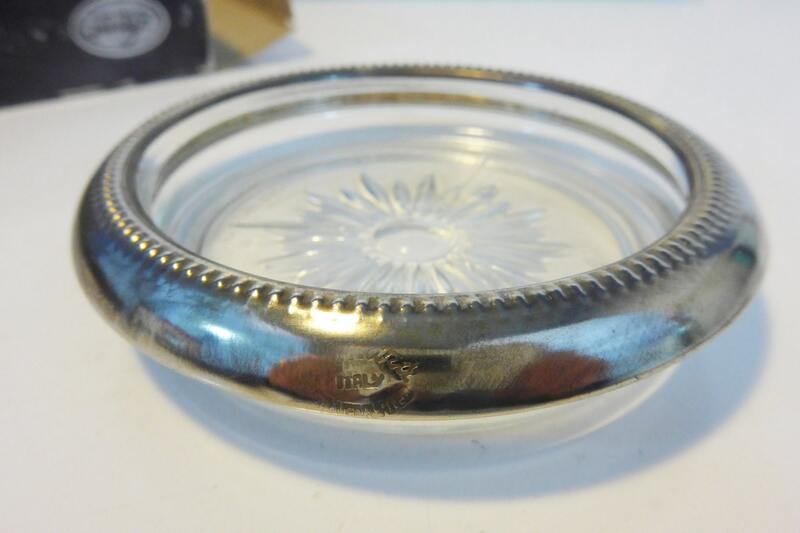 On the sides of the silver plate rim is a Leonard hallmark and the Made in Italy stamp - see photo #4. They are 4" in diameter across the top. 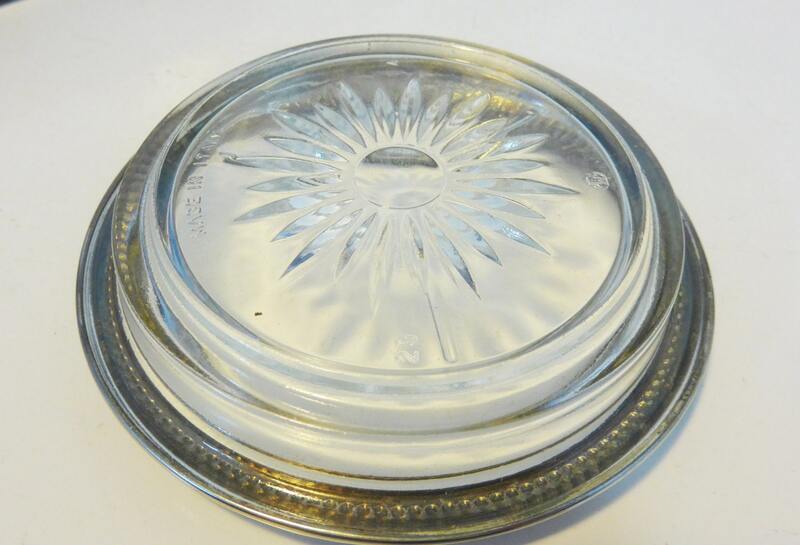 The bottom has a 3" diameter. The inner depression, where a glass would sit, has a 3" diameter. In great vintage condition - don't think these were ever used.